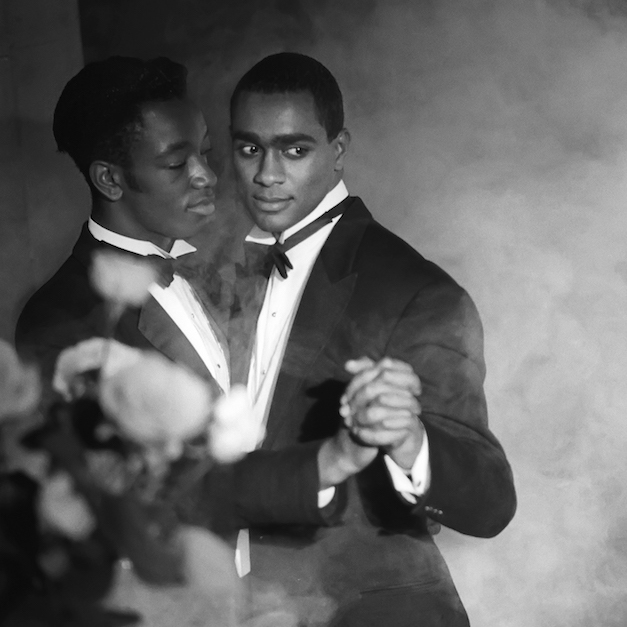 In conjunction with I, Too, Sing America: The Harlem Renaissance at 100, this exhibition presents Isaac Julien’s landmark 1989 film Looking for Langston alongside a selection of related photographic works. Made at the height of the AIDS epidemic in London and New York, Looking for Langston is composed of archival moving images and original footage that reimagines on the life of poet Langston Hughes and a community of gay artists during the Harlem Renaissance. The film collapses both time and geography, mixing the words of Hughes, James Baldwin, and Essex Hemphill and the sounds of blues, jazz, and 1980s house music. While some photographic works distill the narrative of the film, others reflect upon its own making and artistic lineages. Julien’s sumptuous monochrome images consciously mine the aesthetics of black and queer histories, from James Van Der Zee’s funerary and studio portraits of Harlem residents during the 1920s and 1930s to George Platt Lynes’s male nudes during the 1930s to Robert Mapplethorpe’s erotized photographs of black men during the 1980s. Foregrounding black, queer experiences within both an American and international context, the work maintains its urgency today. This exhibition is part of 2018 FotoFocus Biennial, a month-long celebration of photography and lens-based art held throughout the greater Cincinnati region. During the month of October, show your FotoFocus pass to receive free admission, plus FotoFocus passport holders are invited to the Members Evening on October 19 for the fall exhibitions opening. Join CMA Curator of Contemporary Art Tyler Cann for a special in-gallery tour of the new exhibition Isaac Julien: Looking for Langston. The entire community is invited for a fun, free day of art exploration at CMA. Bring family and friends and celebrate the legacy of the Harlem Renaissance. At 1:00 PM, head to the Studio for a make-and-take activity inspired by I, Too, Sing America. At 2:00 PM, enjoy a concert by the Denison University Gospel Choir. Initiate a conversation with one of CMA’s Roaming Docents from 12:00 PM-2:00 PM in the companion exhibition Isaac Julien: Looking for Langston. Join a gallery talk at 11:00 AM or 3:00 PM of I, Too Sing America with Theresa Leininger Miller of the University of Cincinnati.